Tennis lessons for children aged 4 to 7 years old (membership is not required). These lessons are designed specifically for the little people new to tennis. They will be using lightweight junior racquets and mini nets. The emphasis is on learning with a smile, building self‐esteem and developing co‐ordination skills. 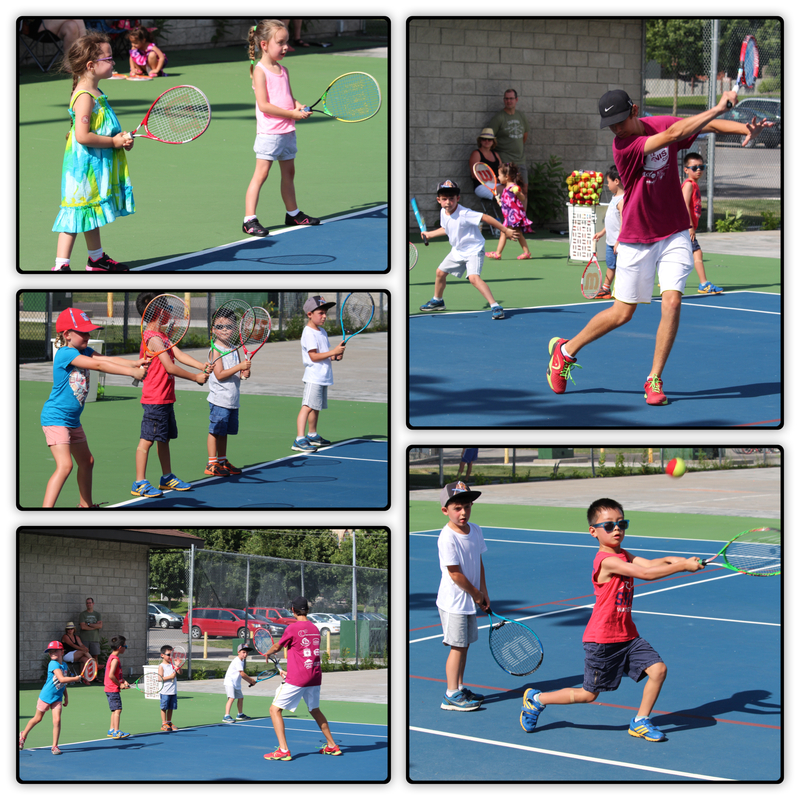 A fun way to learn the beginning skills of tennis! Mini tennis lessons are $45.00 for an 8 week session. The first session will begin the week of May 6th, 2019. The second session will begin the week of July 15th, 2019. Speak with our club pro's Brian Draxl or Shane Hickson at the clubhouse for more information.